As part of a a “smaller cities” series, George Hobica, founder of Airfarewatchdog.com, writes his 10 reasons to visit Charlotte this Spring for Huffington Post. Always fun seeing Charlotte through the eyes of those on the outside. 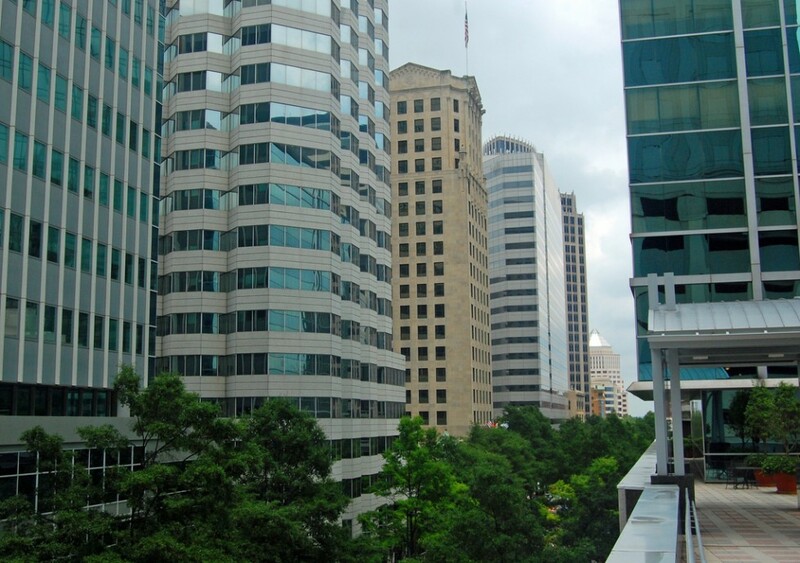 Yes, it’s a banking capital, but Charlotte has an attractive creative side. One of the city’s oldest cultural institutions is the Mint Museum, a two-campus set-up known for both an impressive art collection and a popular craft and design museum. The original Randolph campus is housed in a historic building that used to be the United States Mint — hence the name. The central campus of the Mint is part of the city center’s Levine Center For The Arts, a cultural district containing the impressive little Bechtler Museum of Modern Art and a handful of other worthwhile stops (levinecenterarts.org). For some art at street level, head up Davidson Street to Charlotte’s artsy NoDa neighborhood. Here, a twice-monthly art crawl — held on the 1st and 3rd Friday of every month, starting at 6pm — takes place in and around some of the city’s finest galleries. Soak up the vibe at Dolce Vita, a low-key wine bar and neighborhood gathering spot (3205 N. Davidson St.). For many visitors, the love affair with Charlotte starts with the stomach. Where to begin? Depends who you ask, but it’s likely many will suggest the delectable fried bird from Price’s Chicken Coop, just a couple of stops on the LYNX train from the convention center (1614 Camden Rd.). Or the soul staples at Mert’s (214 N. College St.). Or maybe a little Brunswick Stew, that hearty regional specialty, at Mac’s Speed Shop, a popular ‘cue joint and biker bar (2511 South Blvd.)? Then there’s the pimiento cheese — caviar of the Carolinas — at Midwood Smokehouse (1401 Central Ave.). And the Carolina-style pulled pork at Queen City Q (225 E. 6th St.) And fried pickles at the legendary Penguin Drive-In (1921 Commonwealth Ave.). When your body cries “no more!”, do a mini-juice cleanse at Luna’s Living Kitchen, a cheerful South End spot known for its fresh and tasty vegetarian / vegan-friendly menu (2120 South Blvd.). Got a need for speed? You probably already know all about Charlotte, home to the historic Charlotte Motor Speedway and the NASCAR Hall of Fame. And while the lion’s share of visitors to the city are content to remain spectators to one of the South’s favorite pastimes, bolder visitors — and those who don’t mind shelling out a few bucks — can sign up for the Richard Petty Driving Experience, which offers a range of experiences, from an affordable ride-along ($99 for three laps) to a knuckle-whitening drive, starting at $449 for 8 laps (drivepetty.com). Afterwards, repair to Dale Earnhardt Jr.‘s Whisky River, a popular bar and restaurant back in town for a drink and some snacks off the sports fan-friendly menu (210 E. Trade St.). From the gentle flow of the city’s beautiful Freedom Park to the top of rugged Crowders Mountain just a short drive west of the city skyline, Charlotte is one of those all-too-rare cities with plenty of room for nature to flourish; driving its many tree-lined streets, it can sometimes feel as if you’re not in a city at all. For a true walk in the woods, disappear into the 737-acre Reedy Creek Nature Preserve, offering plenty of solitude along 10 miles of hiking trails (charmeck.org). Food trucks, farmers markets, cool cafes, galleries — all bases are pretty much covered in the city’s historic South End neighborhood, a popular spot for the young and hip to live and play. Your best bet is to come down here for the monthly gallery crawl — held on the first Friday of each month — or for the neighborhood’s lively Saturday morning market at the Atherton Mill complex. While you’re there, grab a tasty, carefully-sourced breakfast from the Roots Farm Food truck (southendclt.com). The U.S. National Whitewater Center offers all of the thrills associated with whitewater rafting with none of the pesky threat of dying after being dashed on the rocks — or whatever else can go wrong when you hit actual rapids. An official Olympic Training Site, the Center doesn’t mess around — they’ll whip you into good shape and have you rafting like a champ. They can do more than that, of course — instruction in more relaxed arts, such as stand-up paddle boarding, will have you ready for your next trip to Waikiki. Like to stay on dry land? The center’s miles of mountain biking trails make for a terrific day adventure, too (usnwc.org). After pushing it to the limit, why not reward yourself with a spa day? At the Ritz-Carlton Charlotte, housed in a sleek, LEED Gold-certified tower at the heart of Uptown (that’s what they call the downtown around here), the spa offers a popular detox massage that incorporates honey harvested from the hotel’s own beehives, housed up on the building’s green roof (80 minutes, $90; ritzcarlton.com). Twenty minutes west of town, The Ballantyne is a resort-like escape featuring a beautiful spa facility that invites sticking around all day, or maybe longer. Start off with the Little Bit of Bliss, a 25-minute massage that’s ideal for those whose fists are as tight as their shoulders — it’s a bargain at $65 (theballantynehotel.com). The 10-acre botanical garden at the University of North Carolina at Charlotte is a real sight to see, from the indoor worlds at the McMillan Greenhouse complex to beautiful outdoor gardens showcasing landscapes both local and exotic, you can easily spend a beautiful morning here — and it’s free (gardens.uncc.edu). For a garden that’s a little more secret, head over to Wing Haven, a private walled paradise built by environmentalist Elizabeth Clarkson and her husband Edwin back in the 1920’s. It’s a gorgeous three-acre escape that doubles as a bird sanctuary (winghavengardens.com). It may not be world-famous for its nightlife, but Charlotte sure knows how to party. At the South End’s TEN Park Lanes, dozens of beer taps and a solid food menu (try the barbecue) is complimented by a wide selection of artisanal moonshine — yes, that’s a thing in the South these days (1700 Montford Dr.). Head spinning? Need some air? Head for the garden at VBGB, a boisterous, new-ish beer garden; their selection from the local NoDa Brewing Company are a must-try (920 Hamilton St.). Wherever the night takes you, end up at Snug Harbor in the Plaza Midwood neighborhood. Here, a classic dive feel is the draw for a happening crowd that piles in for good live music, stiff drinks and lots of free atmosphere (1228 Gordon St.).